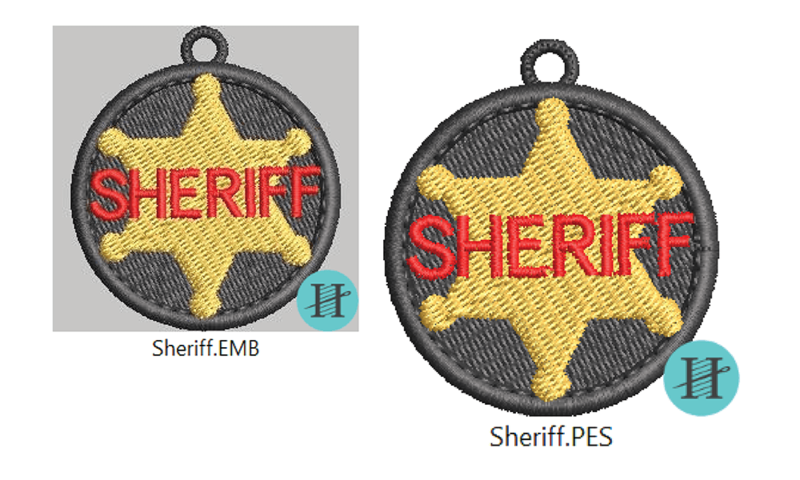 Hatch Embroidery Digitizer has been the software of choice for beginners and experienced hobby and home business digitizers. Since its release, we have had thousands of conversations on social media, through emails, live chat and by telephone. This has been invaluable, and Hatch Embroidery 2 is the result. Update price valid for existing Digitizer 1 customers. Take a photo of a pet, baby or someone special and instantly convert it into an embroidery image. This takes personalization to another level. Unlocks an ethereal artistic embroidery style. 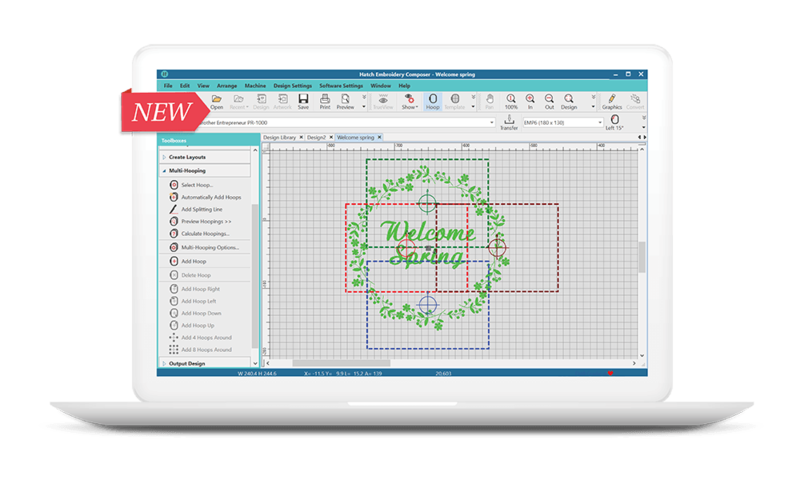 Available in multiple outline types, Hatch Embroidery will calculate the fastest and most efficient route to stitch out your designs. 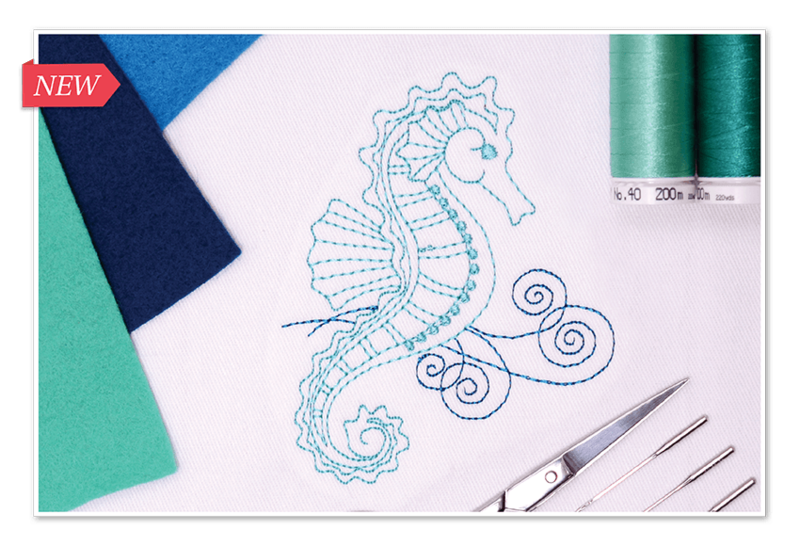 Joining two or more embroidery objects is very common and previously quite time consuming. 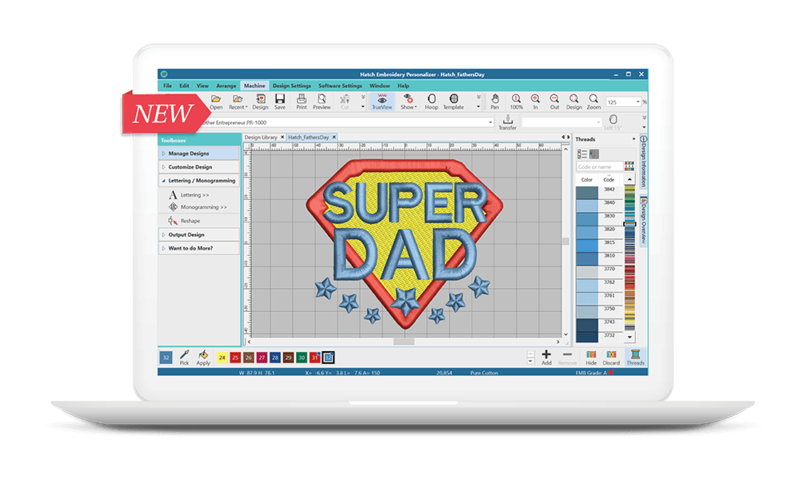 The new Weld tool can do this in a single click, saving hours of digitizing time. 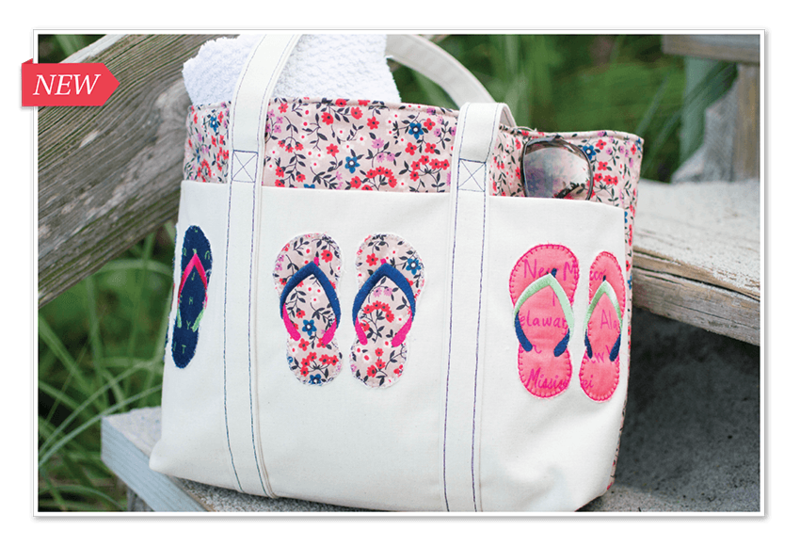 Want to create amazing appliqué designs? Using precision cutting files is essential. 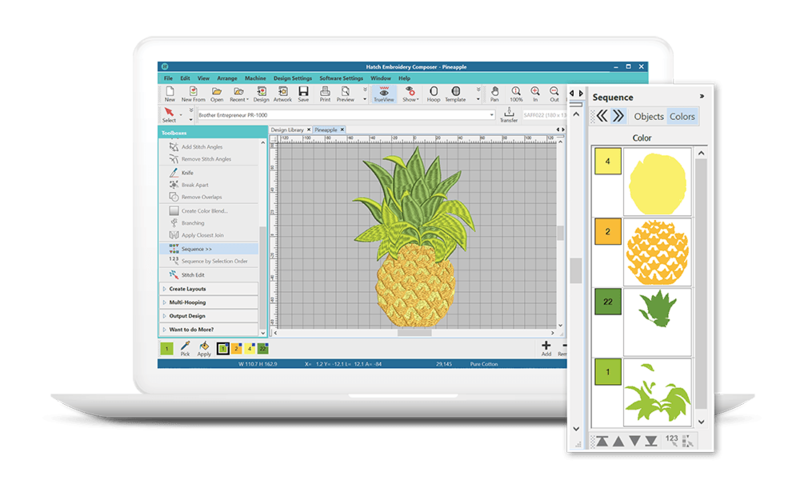 Now you can export your appliqué or closed objects as SVG files in seconds. 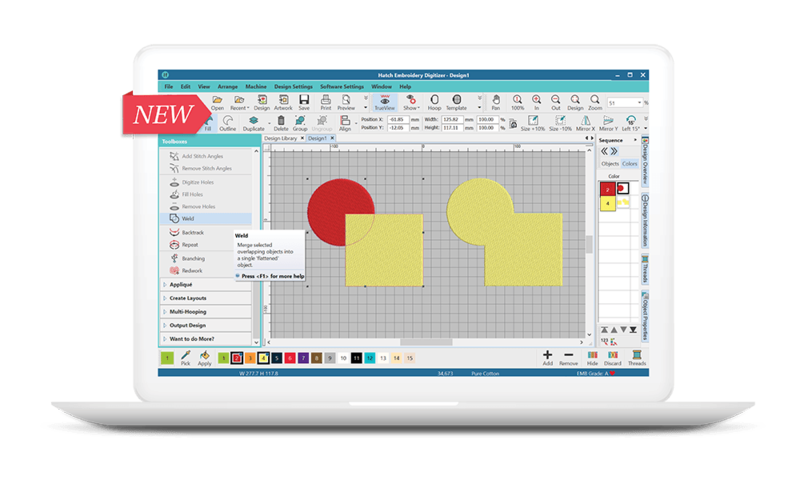 A special new set of tools, designed specifically for appliqué designs, gives you more control. Select from one color of multiple color stops, and optimize the stitch order. Be more creative than ever before whilst continuing to achieve accurate and clean designs. These fills and outlines will turn with the shape of the objects. 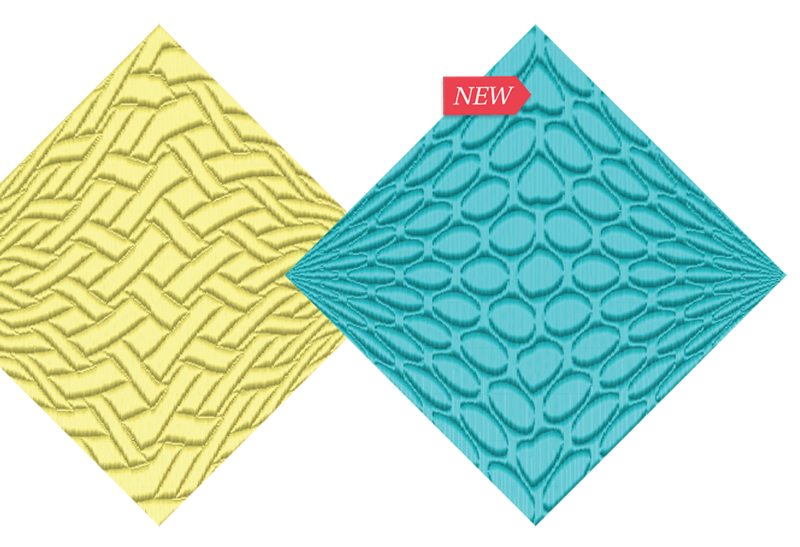 Create unique patterns never seen before by combining two different motifs into a single object. 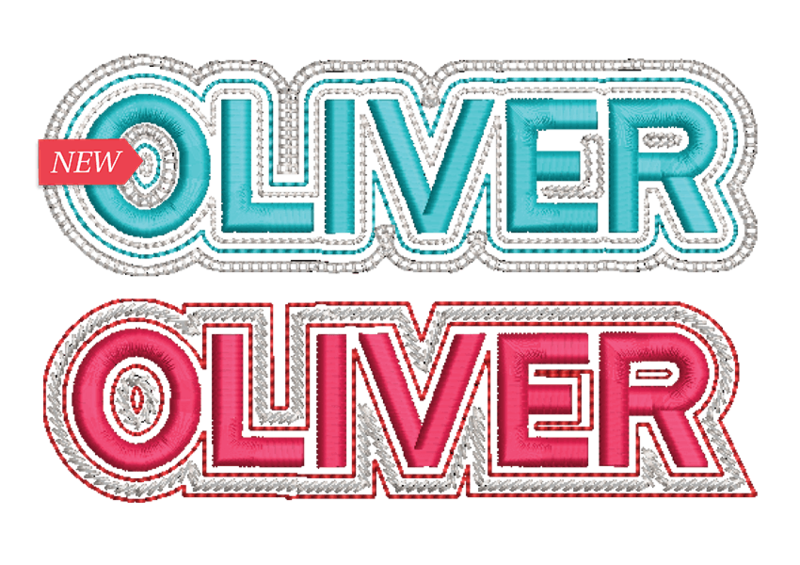 There are now over 100 professionally digitized fonts included in the Hatch Embroidery Digitizer update. Take Offset designs to the next level by selecting the type of corner. You can also choose to create Offsets in holes! 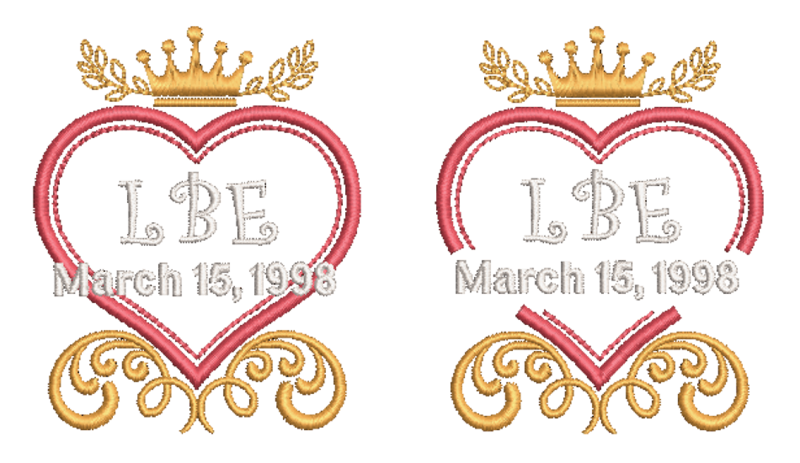 An additonal 25 professional monogram templates have been added for those special occasions, making it 85 in total! The sequencing toolbox now combines coloring, making it clearer and much faster. This will reduce many common user errors and save hours of time. Now you can cut run stitches with the Knife Tool. This means you can split a monogram and add text and do so much more. 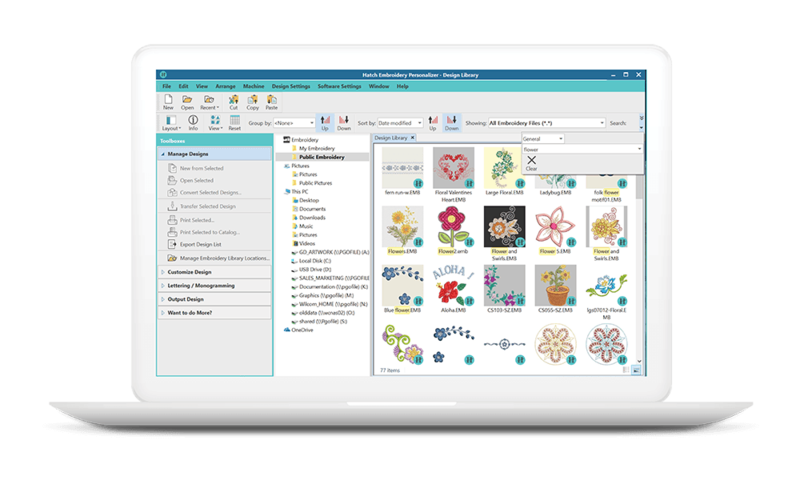 You can set multiple hoops, split the design into sewing fields and output the design to multiple files, each with just 1 click. Now, hoopings can be viewed before you finish to save time and get the perfect result. Digital placement markers can be added for perfect hoop positioning. Search your entire PC in seconds and view designs without opening them up. Improved PES support, so files retain thread color information more accurately. Trim support is improved too. 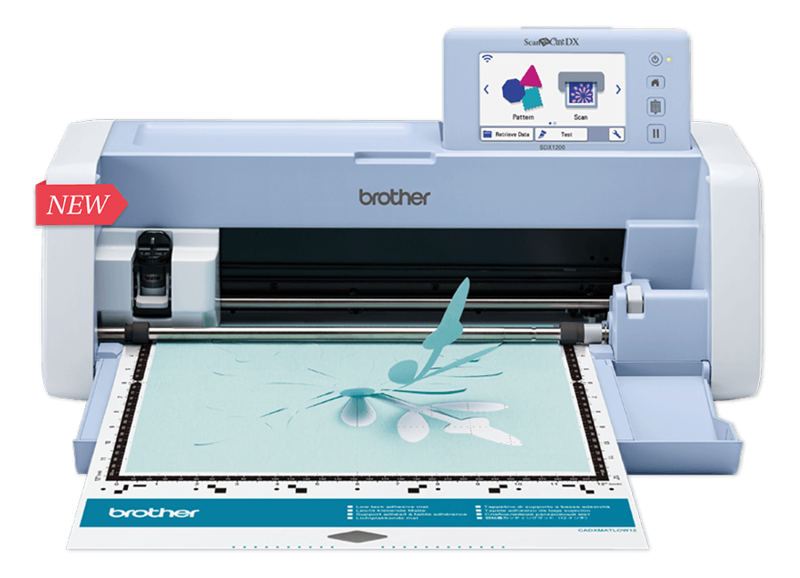 Orientation of Brother hoops for single and multi-needle machines is more accurate. The enhancements do not end there. 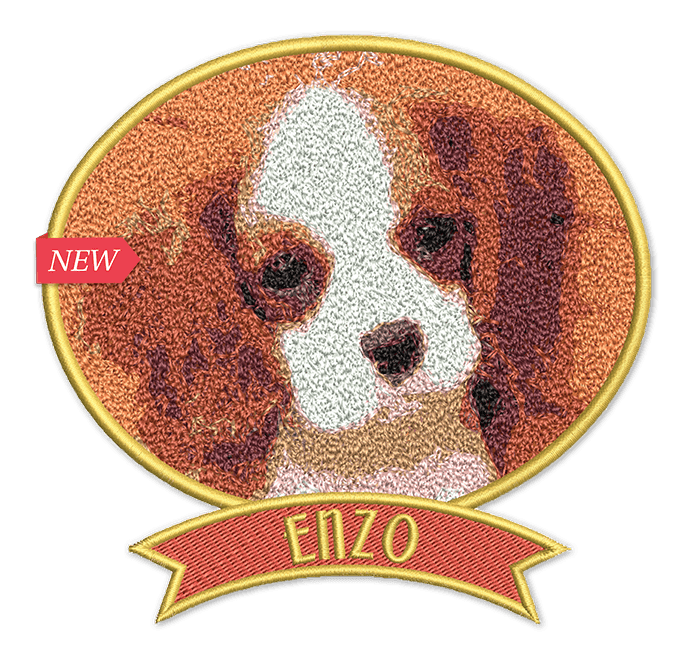 Experience the NEW Hatch Embroidery Digitizer for yourself!